the devil is a lie? 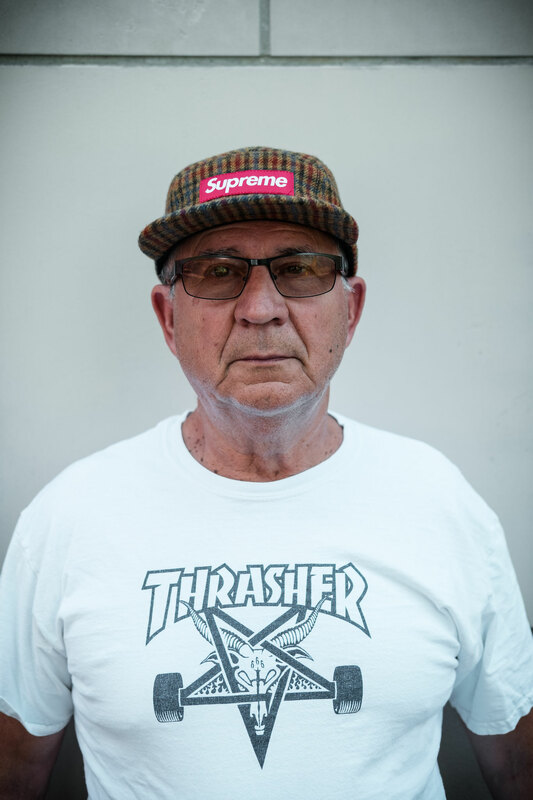 It's Tuesday, June 20th, and it's freaking hot outside - but does that stop Gramps from expressing his inner hypebeast? No way! After spending the last five days in Barcelona (actually his honeymoon, since he recently married his wife a second time ;) ), he flew in back to Germany just yesterday evening and was hyped to come home to a Supreme package. 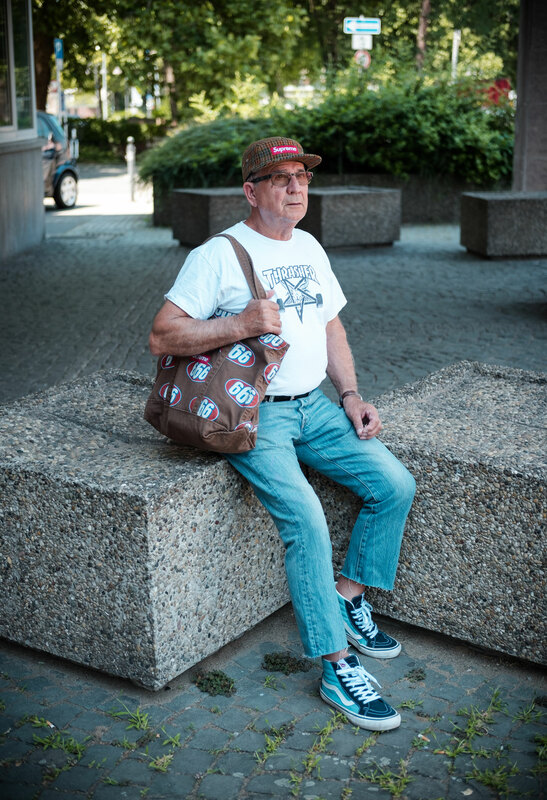 So me and Gramps went to the city to spend some quality time together and to take some pictures of his outfit. 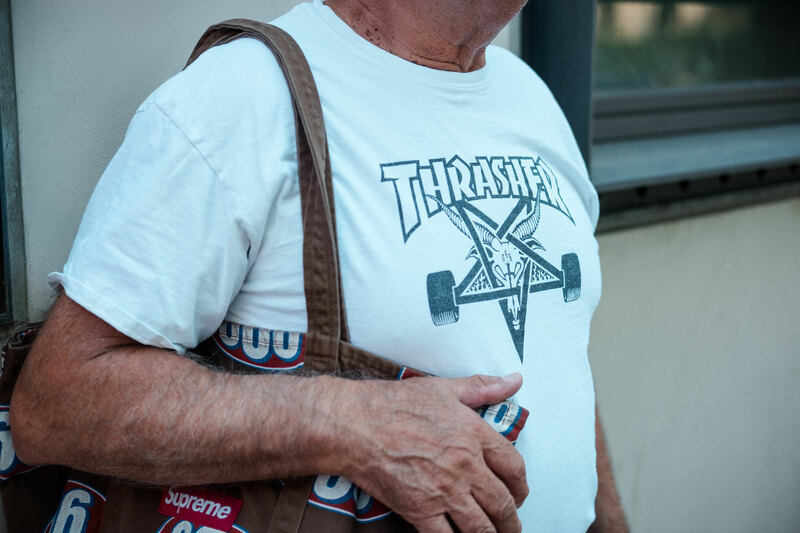 Since everyone's saying that it's hot like hell outside, Gramps decided to wear his "666"- pieces. 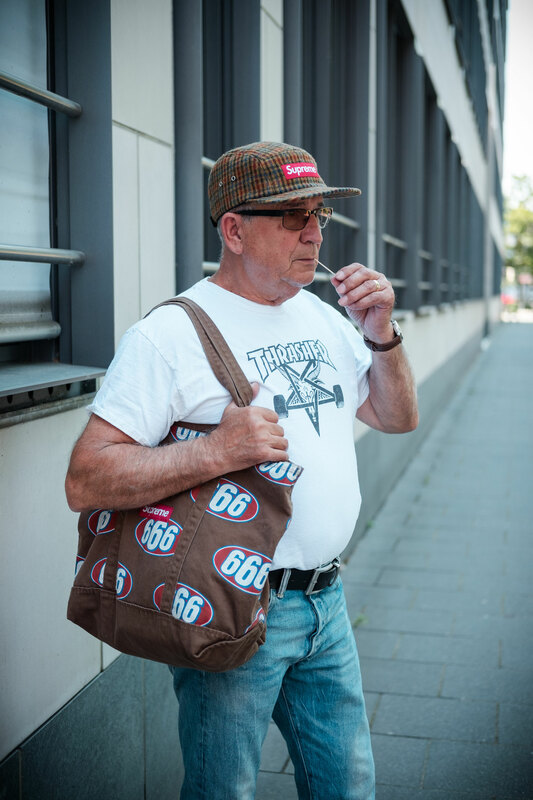 He is wearing the recently released Supreme 666 denim tote bag in combination with a matching Supreme 5-panel cap and a Thrasher Skategoat T-shirt. 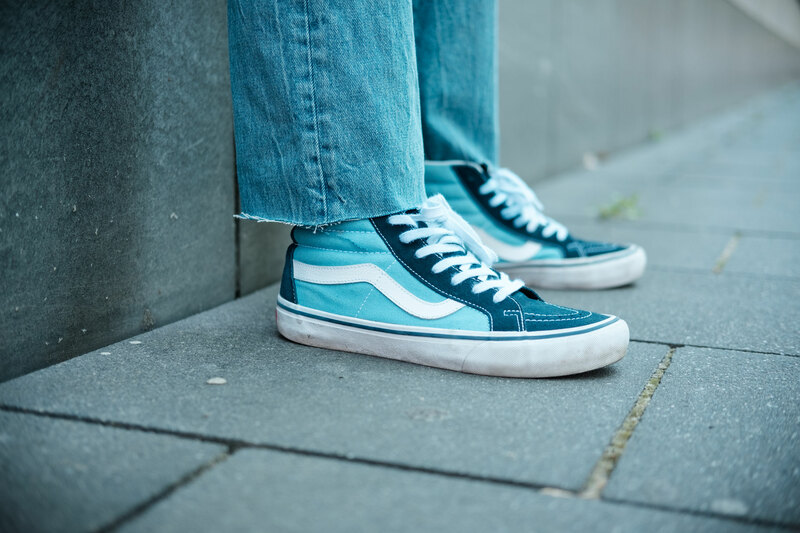 To finish it off, he chose classic Levi's 501 jeans which he cut off and a pair of blue Vans Sk8-Hi. 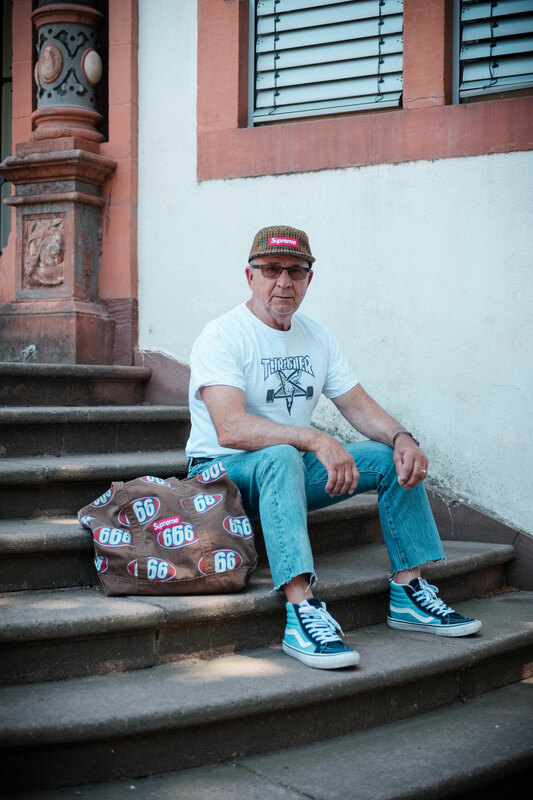 The colors of the tote bag resemble the ones from the 5-panel and a 666 logo/font is not only on the bag but also on the Skategoat t-shirt which makes it extra hot. 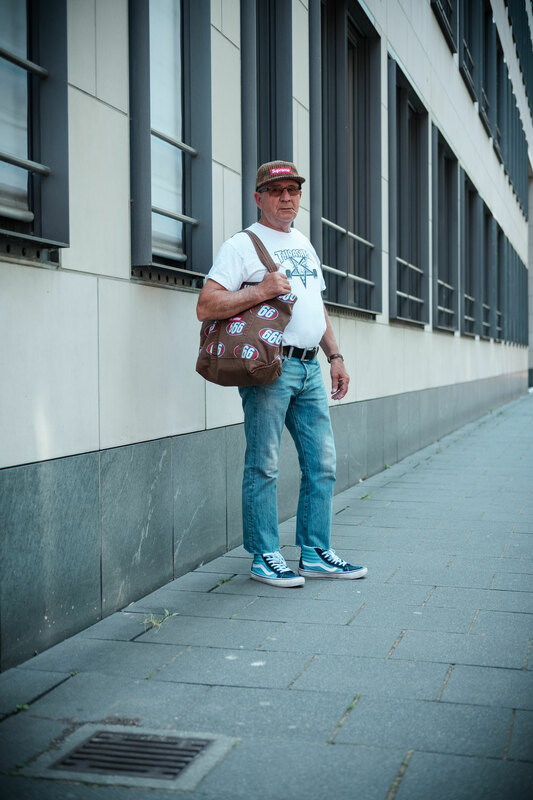 Check out all pictures of Gramps outfit and tell me who or what's responsible for the heat - the weather or Gramps thiiiiiicc af outfit?